dealt with in its own way. Prior to this loss of innocence, we as a country are virtuous, idealistic, and pure. In the aftermath, we are pragmatic and cynical. Its recurrence in so many forms also suggests that we were not so innocent to begin with, and that this narrative is, at its core, utter nonsense. It is especially damning for that reoccurring character that exemplifies the destruction that this blindly dutiful and naive person can cause: the quiet American (ignore the fact that this phrase was coined by Graham Greene, a British writer). This is the person who not only believes that the ends justify the means, but never thinks to question if the ends are desirable in the first place. 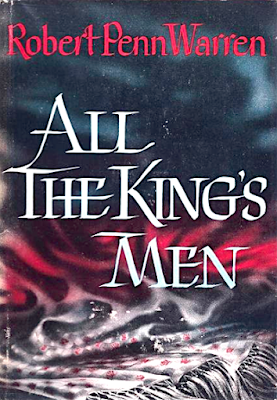 Robert Penn Warren's 1946 novel, All the King's Men, breaks this mold with relish. The characters of this Southern Gothic masterpiece are disillusioned, morally ambiguous, and conflicted. They are most certainly not quiet Americans. The first glint of Penn's recognition that this type of American idealism is flawed comes early in the novel, when he juxtaposes the term “idealism,” which is roughly synonymous with naivety, with the philosophical Idealism first advanced by George Berkeley in the 18th century. For Berkeley, Idealism was the opposite of materialism; it maintains that only minds and mental constructs (ideas) exist. For Jack Burden, the narrator in All the King's Men, this means, “If you are an Idealist it does not matter what you do or what goes on around you because it isn't real anyway.” For perhaps the single most famous novel on American politics, this has some major implications. This first comes when the character who is the focus of the plot, Willie Stark, first begins to try his hand in state politics. Long before becoming the demagogic governor of an unnamed southern state in control of a vast party apparatus who has half of the state's politicians on his payroll and the other half crippled by fear because of dirt that Willie has on them, he is nothing more than a country lawyer out to make the state a better place during his first run for governor. In speech after speech, he tries to convince those who show up to his rallies of how beneficial a new and progressive tax plan would be for blue-collar workers and farmers, or how much revenue the state could generate by changing its policy for companies that mined on state land. Suffice to say, no one cares. As the narrator tells Willie in a hotel room after one particularly dull speech, “They aren't alive, most of 'em, and haven't been alive in twenty years. Hell, their wives have lost their teeth and their shape, and likker won't set on their stomachs, and they don't believe in God, so it's up to you to give 'em something to stir 'em up and make 'em feel alive again....That's what they come for. Tell 'em anything. But for Sweet Jesus' sake don't try to improve their minds.” Willie listens to Jack's sage advice, returns to the stage with all the conviction and passion of a barnstorming preacher (aided more by the bottle than the Bible), and riles up the crowd by calling them a bunch of dumb hicks (in language familiar to these dumb hicks), who are being swindled by those fat cats in the state capital. Willie could have called them deplorable with similar effect. What follows is not so much a story of Willie's eventual downfall due to the corruption of power or even Jack's realization that he can't be an Idealist and live in a world divorced from the consequences of his actions. These are integral parts of the novel, and they are, along with the character of Sadie Burke, the reasons why All the King's Men is typically regarded as one of the best novels on the American political system ever written. However, more than that, the story is also about the inversion of this dilemma—of the person who cannot live in this world because of their need for some kind of idealistic purity that simply cannot exist. This latter persona is realized in both Cass Mastern, a historical figure over whom Jack had obsessed while working on his Ph.D., and Adam Stanton, a noble surgeon and Jack's childhood friend. 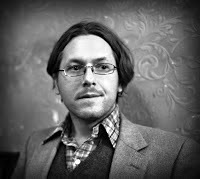 Such characters inevitably martyr themselves in the name of their quixotic causes or eventually become corrupted. This is particularly true when these idealists commingle with their Idealists friends.